I am committed to ensuring that the members of Monkton Combe Choral Society are constantly challenged, and it never ceases to amaze me how keen the choir is to work hard and to make the most of every rehearsal; as a result, the choir (now entering it’s fourth year) continues to get better and better, and it has now grown to more than 100 voices. One of the ways in which we raise our game is by inviting guest conductors from time to time to come and take a rehearsal , and within the last 18 months we have been privileged to work with both Ben Parry and Ralph Allwood. One might have thought that these two eminent choral specialists would be a tough act to follow, but last night Libby Burgess proved otherwise! Libby is a hugely versatile musician; principally a piano accompanist and chamber musician, she is also an organist (she was the first female organ scholar at Christchurch Cathedral in Oxf0rd) and a choral director. However, what impressed so much last night was not only her ability to communicate, with extraordinary ease, exactly what she wanted from the choir, but also that everything which she demanded opened up new and exciting insights into the music itself. Libby offered numerous little details of vocal technique which instantly transformed the sound or the confidence of various passages, but at the same time the choir were so clearly more able to express themselves better as a result. For me, that is the key to singing in this sort of choir – to sing with understanding – both in terms of how physically to sing, but equally, in understanding the text and the music so that these can be communicated with sincerity and conviction. Personally I learned a huge amount from watching Libby at work, and many of the choir were quick to say how much they had enjoyed themselves – back to me again next week I’m afriad! In the meantime, I am looking forward to incorporating some of Libby’s ideas and rehearsal techniques into our practices over the coming weeks and months, thus maintaining that all important growth mindset which I believe is one of our choir’s great strengths. Roll on 17th March! 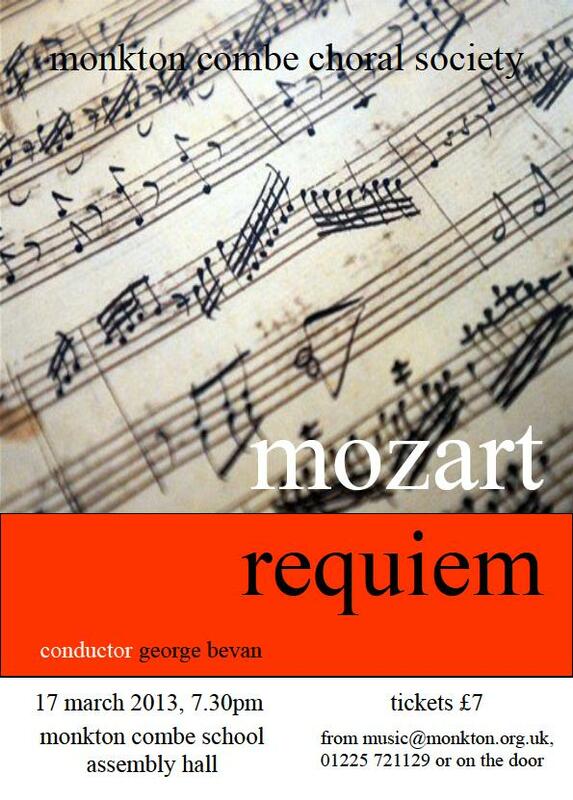 Tickets for our forthcoming performance of Mozart’s Requiem are now SOLD OUT. Soloists are Rachel Bowden (soprano), Louise Crane (alto), Justin Lavender (tenor) and David Hansford (bass). All of them have sung with us before, and we are really looking forward to welcoming them back to Monkton for this concert. The orchestra will be led, as always, by the wonderful Lorna Osbon! And in the first half of the concert we will be playing Mozart’s Symphony No.40 in g minor, K550. 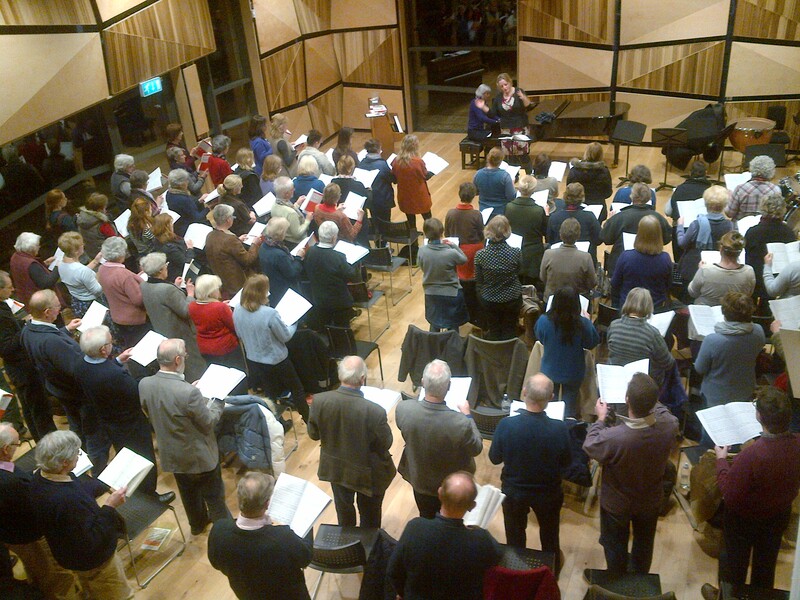 The choir is in fine form at the moment, especially since our recent workshop with Libby Burgess. Not to be missed!